Do all planets have an atmosphere? Once again we take ourselves back to the wonderful diversity of planets we see in our own solar system, and onto the surface of Mercury. 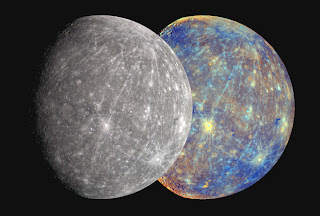 The surface temperature on Mercury ranges from 100K in the shade at the bottom of craters, and up to 700K when it is closest to the Sun. This, along with the planets small mass, means that its gravity is not sufficient enough to sustain a permanent atmosphere. A number of small rocky worlds have also been found orbiting other stars. These exoplanets, such as KOI-961b, c, and d, orbit their stars even closer than Mercury does our Sun, and are also thought to have little or no atmosphere due to their size and the stellar wind effects from their stars. The KOI-961 system hosts the smallest known exoplanet to date, with a radius of 0.67 times that of Earth, and the closes orbiting planet discovered, which orbits its star at 0.006AU that is nearly 70 times closer than the orbit of Mercury. Does a planet have to orbit a star? 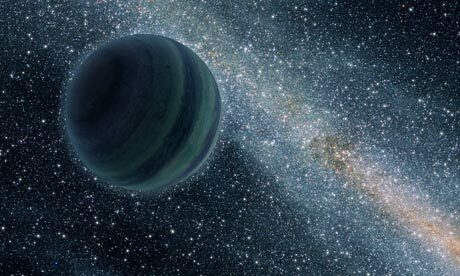 Planets have in fact been found alone in space with no apparent star to orbit. These have been called ‘Free-Floating Planets’. It is thought that these lone worlds first formed around a star but, due to close gravitational interactions with other planets and stars, they were ejected from their solar systems. In 2006 and 2007 a joint survey conducted by Japan and New Zealand scanned the center of the Milky Way, it revealed evidence of up to 10 free-floating planets with a similar mass to Jupiter. This survey supports the ejection scenario suggesting that these planets could be more common than the stars themselves. Other observations have shown that there are planet-like objects within star-forming clusters with masses over three times that of Jupiter. These are thought to form more like stars growing from collapsing gas and dust, however, they do not have enough mass to ignite and nuclear fusion cannot begin. These are called Brown Dwarfs and are the focus of many stellar formation studies as they may play an important role in stellar evolution.